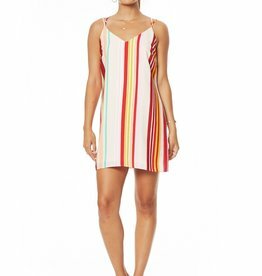 The Happy Hour Slip Mini Dress is a simple style with bold stripes. Dress it up or dress it down, this one style can take you from day time strolls to happy hour hangs. 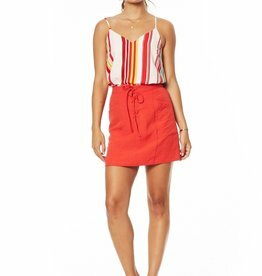 The Foxie Mini Skirt is lace up style with two front pockets. It's a mini skirt length with an elastic waist band at the back for that optimal comfort fit. Style with a vintage t-shirt and heels for that foxie date night look. The Mojito Smocked Romper is a great versatile piece that can transition from the beach to the city. 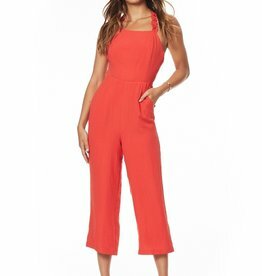 This is an off the shoulder romper that commands attention. Add a pop of color to your wardrobe with this designer favorite! Ideal for brunch by the sea side. Pair with a giant straw hat to channel your inner Brigitte Bardot! The new old fashioned. 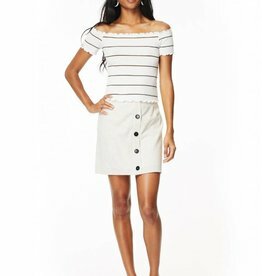 The Old Fashioned Crop Top features a horizontal stripe pattern, and lettuce hem at the top, bottom, and sleeves.